Head over to Union Stage on December 6th, your garage rocking The Regrettes return to DC after only a few months away, this time at a venue over twice the size. In June, they performed at the Black Cat’s Backstage, and we were there to see their great show. They are touring for Alt Nation’s Advanced Placement Tour (presented by SiriusXM and Live Nation) with Welles and Mickey James, a 15 city tour looking to expose music seekers with the newest and best alternative musicians. 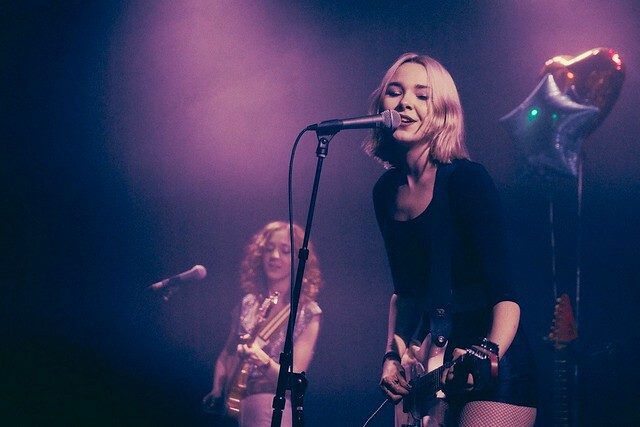 The Regrettes formed in Los Angeles in 2015 and is currently Lydia Night (vocal, guitar), Genessa Gariano (guitar), Sage Chavis (bass) and new member Drew Thomsen (drums). Their latest EP is called Attention Seeker, with the break-up single “Come Through”. Tickets are $15. Doors at Union Stage at 6:30pm. Show at 7:30pm. Also playing Welles and Mickey James.